Includes most QuickPlans, ($195), plus edited Executive Summary Business Description, Address Specific demographics tied directly to menu offering and Competitive Analysis. Marketing Strategy, Location & Operations , Management and Financial Plan sections and 5 year forecast month to month spreadsheets including audited Income Statements, Operating Budgets, Cash Flow Statements, Balance Sheets and Ratio Analysis using Industry specific guidelines. Break Even Analysis and Payroll is also included. Executive Summary with your details for a summation of the plan including Industry brief, history, management team, use of proceeds and company vision. 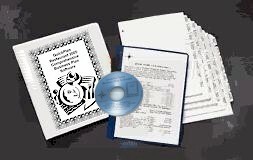 Hard Copy cd-rom and immediate email download. Four hours of consultation.